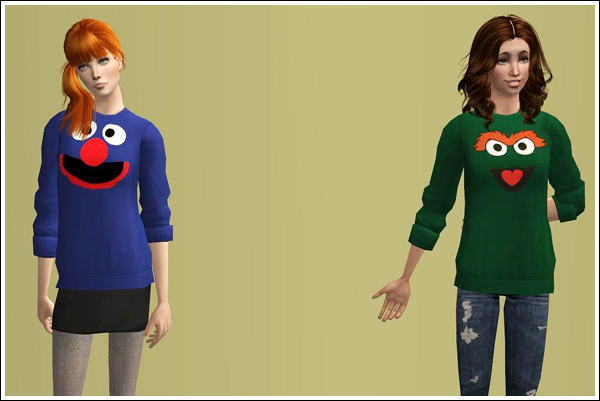 6 adorable recolours of Sentate's awesome mesh. 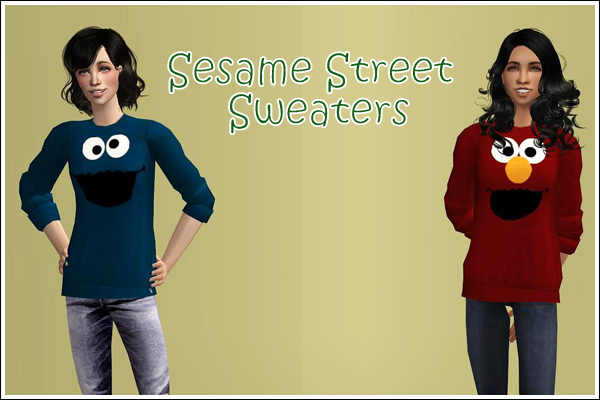 Link to more recolours at sanneke's LJ. Cool! They look amazing, love the colours. Only one problem...WHERE'S BIG BIRD! hmm, Shell - I was waiting until you were older,and ready to hear it - but I will have to tell you anyway I think. The Dutch version of Sesame Street? Big Bird is blue and called Pino. Quote: One adaptation for the Dutch market was the replacement of Big Bird with Pino, a character physically resembling his American counterpart, but with one dramatic difference. Pino is blue. Big Bird is of course yellow, bright yellow. Chaos ensued as Sesame Street products hit the Dutch market and the yellow- blue issue was resolved with the announcement that Big Bird was actually Pino’s cousin. I can only imagine the collective sigh of relief from the Dutch population as the show’s creators finally cleared that up.